Enables users to creatively stack and blend new drum sample layers with original drum hits. 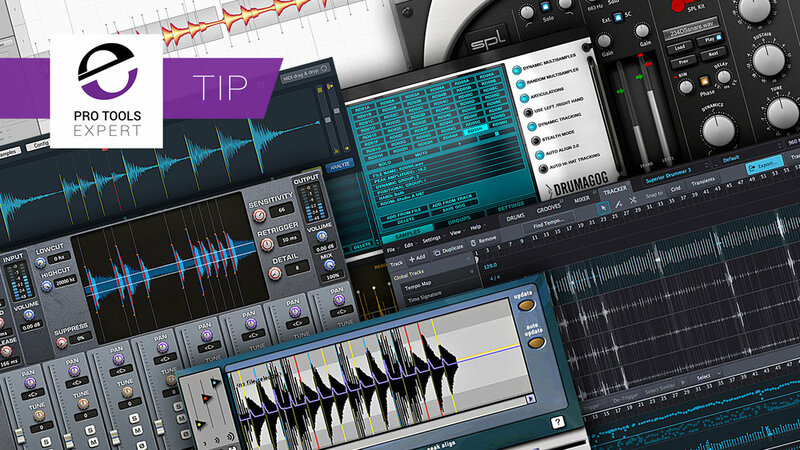 This article features a selection of popular drum replacement plug-ins for Pro Tools. First, a small history lesson. We cannot talk about drum replacement plug-ins for Pro Tools without mentioning Sound Replacer. Originally developed by Digidesign around the turn of the millennium, Sound Replacer for Pro Tools was considered the only plug-in for drum replacement that users could set to trigger their own drum library samples. I haven't used Sound Replacer for years, looking at it now It is fairly basic compared to more modern drum replacement plug-ins. Performance dynamics could be sort of matched and up to three separate drum library samples could be triggered by three user defined volume thresholds. This was a drum replacement plug-in that would either work really well or would fail miserably. The quality of the results relied heavily on the quality of the original drum recordings. There was no way of stopping bleed from other drum hits triggering the samples within the plug-in, in these instances, audio waveform would need to be cut and edited. Sadly, Sound Replacer was a Pro Tools AudioSuite plug-in only, no real time reference monitoring here which these days is considered a standard feature in these types of plug-ins. Sound Replacer showed the music production world that drum replacement was indeed possible, however, nearly two decades have passed and in today's production workflows Sound Replacer doesn't really compete, lucky for us, there have been several new comers to the drum replacement plug-in genre. Drumagog was the first drum replacement system that also worked as a live performance tool. I remember a video from many years ago of a Drumagog demonstration with a drummer hitting mic'd up pots and pans with kitchen whisks. The microphones on the pots and pans triggered drum samples in Drumagog - this video was pretty mind blowing! 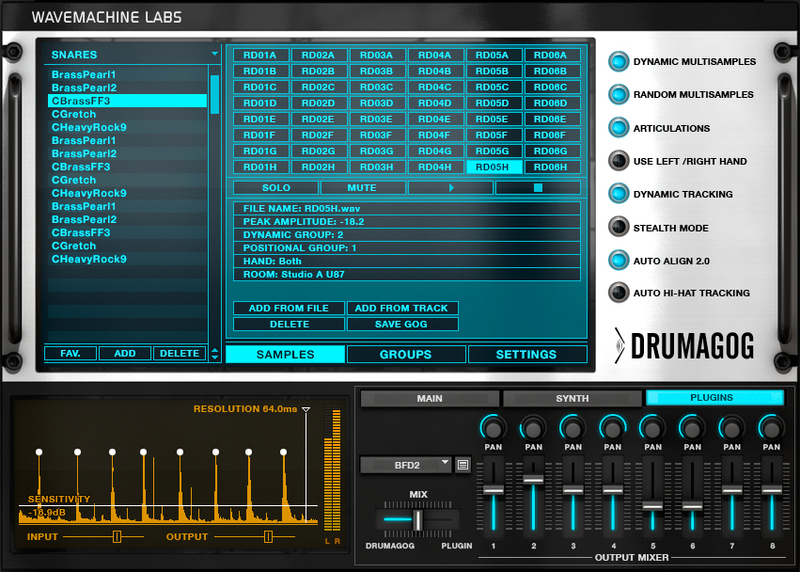 Drumagog gave users the ability to use drum sample libraries from FxPansion BFD libraries, which at the time was a very popular virtual drum suite. Drumagog is now available in two versions, Drumagog 5 Pro and Drumagog 5 Platinum. Superior Drummer 3 by Toontrack is the latest version of their flagship virtual drum suite. Among the many new features introduced in SD3 is a system called Tracker. 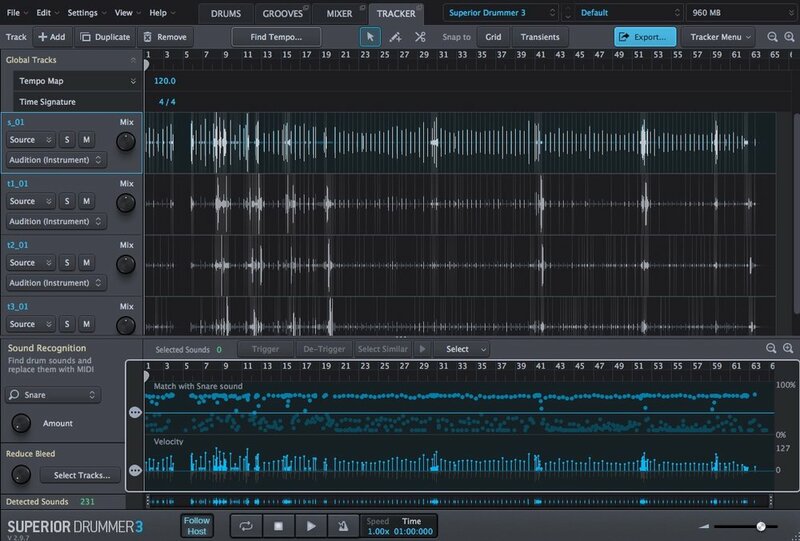 Tracker enables users to replace live drums with either Toontrack drum libraries or personal drum sample files. A feature that makes Tracker unique is the artificial intelligence engine that determines the original drum source and cleverly works out what the bleed is from other hits. One of the best features of Superior Drummer 3's Tracker is its ability to replace cymbals and high-hats, though close mic recordings are required for this. The Pro Tools Expert Team have been given pre releases of Superior Drummer 3, we can report that the system works flawlessly and dare we say it... this could be the best drum replacement plug-in out there. 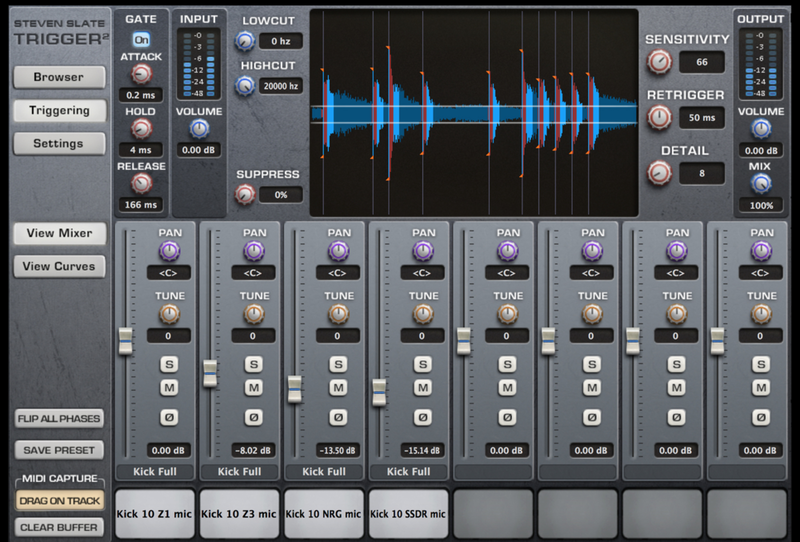 Trigger 2 is a drum replacement system that just works and sounds really realistic to original performances. I've worked with countless drummers that were once against the idea of me replacing their drums in the mix until they heard what Trigger 2 was capable of - now these drummer request I replace their lacklustre snare recordings with Trigger samples, which in some cases make all the difference to the final mix. DrumXChanger by SPL Plugin Alliance is also a recent addition to the drum replacement plug-in genre. This plug-in encourages users to mix in additional samples to layer on top of drum performance. 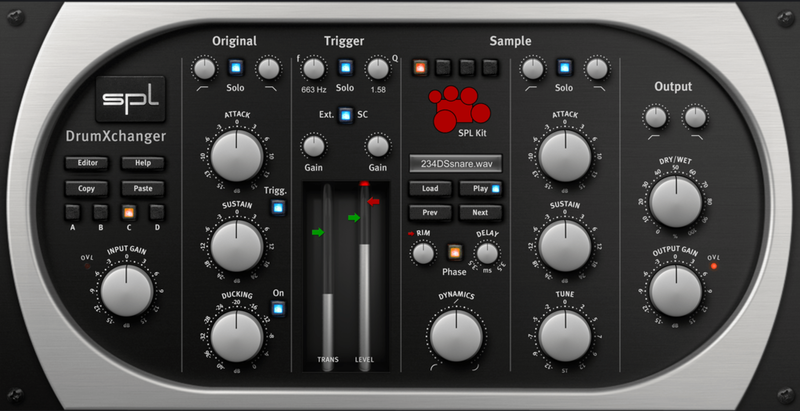 Filters in the trigger path and additional gain stages make it easy to fine tune the triggering. DrumXChanger ships with four bundled kits and allows users to import custom samples. With the inclusion of transient designers on the original and sample sections, DrumXChanger allows users to make the most of what is good about the original drum recordings, while allowing samples to compensate for any perceived deficiencies. Consider Massey Drum DTR Drum Replacer the unofficial third party version 2 of Sound Replacer and you'll have a good idea what it's like. This is a no thrills plug-in that delivers quick drum hit replacement in Pro Tools Audio Suite workflows. The GUI is better and more intuitive compared to Sound Replacer but like Sound Replacer the genre of drum replacement plug-ins has developed into real time plug-in workflows. 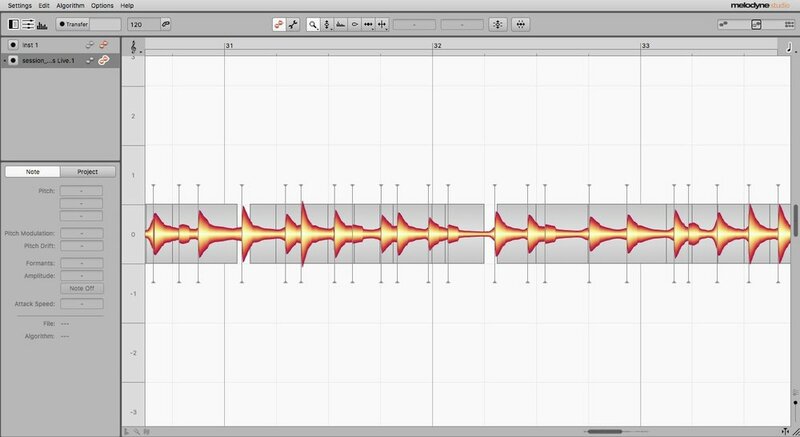 The capabilities of Melodyne are best known for pitch and time correction, however, Melodyne has a very cool feature up its sleeve that converts Audio to MIDI. Users can Ttransfer a close miced drum track into Melodyne, export the MIDI and import that MIDI file into Pro Tools within an Instrument/MIDI track. This makes it very easy to replace drums using drum virtual instrument libraries. Some MIDI editing may be required to ensure bleed from other drums doesn't trigger the wrong drum hits.